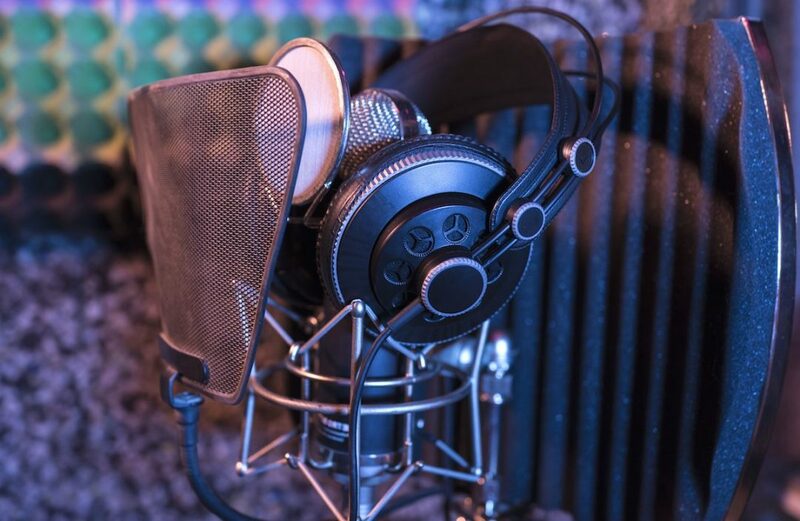 Studio headphones are an essential piece of equipment to have on hand, generally falling into two broad categories: closed- and open-back. Closed-back headphones provide the greatest isolation with some sacrifice to sound quality. Because they isolate the listener from the room, however, they’re the ideal option to use when tracking. The musician is able to closely monitor his or her own performance, and the sound from the headphones isn’t bleeding back into the mic(s). These days, more and more music production is done outside the studio and in the bedroom or on the go. While it’s recommended to mix on monitors in a treated room, that’s a luxury some of us can’t afford. If mixing on studio headphones is the only option, open-back is the way to go. Open-back headphones generally offer maximum sound quality at the cost of isolation. Which, of course, is fine when we’re not tracking! The following closed- and open-back studio headphones are recommendations to help narrow your search! As always, nothing is a be-all, end-all in the realm of audio, so find what works best for you and your ears. Sony’s MDR-7506 headphones have been around for ages and are a mainstay in professional audio. The 7506s sport a closed-back design and a wide frequency response of 10 Hz to 20 kHz. They can also be had for under $100 on a good day, making them an ultra-affordable option to boot. Outside of music production, they’re often seen in broadcast studios. Despite being closed-back, the 7506s are often praised for their mix-worthy sound quality. If having a single “all-around” pair of headphones seems like the best bet, definitely give the Sonys a spin. Focal is oft-lauded for producing some of the finest pro audio and hi-fi equipment available. It makes sense, then, that their Spirit Professional headphones are a popular choice amongst audio professionals. The Spirit Pros were designed to “preserve the dynamics of the audio signal and to provide remarkably neutral sound without any distortion. The highly accurate reproduction of bass frequencies will reveal the smallest defects in the mix, while avoiding acoustic constraints of the workspace.” In other words, they’re built to sound fantastic while also isolating users from their environment. They’re a bit on the pricier side relative to the previously mentioned 7506s, though are still quite affordable in the grand scheme of things! The DT 770 Pros are sort of a perfect compromise between luxury features and affordability. At $179, they feature a mega-wide frequency response from 5 Hz – 35,000 Hz–so they’re perfect for your dog, too. They also include super cushy ear pads for maximum comfort during long monitoring periods, which are easily replaced if worn out. Detail, transparency, and comfort have made the DT 770s a benchmark-setter for many years running. Again, another fantastic option to consider when shopping for the perfect pair of studio headphones. When isolation is strictly the end game, you can’t look past Direct Sound’s EX29 headphones. Designed specifically for “extreme isolation,” the new EX29 Plus cans boast an impressive 36.7 dB of passive attenuation. It’s easy to see that these would be a great choice for drummers, for whom they were initially designed, or any instrument pushing a ton of dB SPL. Earlier models forgivably looked a little hardware store-esque, though the new design is much more sleek and elegant. If you’re a drummer yourself or track lots of them, these are a smart choice. Simply put, these are praised for being about as close to reference quality as you can get in a pair of semi-affordable headphones. They’re a popular choice amongst audiophiles for their sound quality, which is described by Shure as “expansive,” with “clear, extended highs and warm bass.” I love a good subjective description of sound quality and “warm bass” takes the cake! Jokes aside, these are truly a fantastic pair of headphones, though they’re also the priciest of the closed-backs listed here. As with most things, though, there’s always something way more expensive. Relatively, the SRH1540s are a steal for the quality they offer. The DT series by Beyerdynamic strikes again, this time with the open-back version of the DT 770s noted above. The manufacturer describes the 990s as being impressively spacious, with a “wide stereo image” and “three-dimensional sound reproduction.” It’s safe to say that these would make an excellent choice for mixing headphones, based on the aforementioned characteristics. A major pitfall mixing on headphones is the tendency to make things too narrow since we’re monitoring roughly 6 inches or so apart! The DT 990s seem to have remedied at least a little bit of that problem! AKG’s K240s are actually a semi-open design for reproducing “solid bass and extremely clear highs.” They’re very popular for being inexpensive and are one of the most affordable pairs on this list ($69). You’ve probably seen at least a few times in various applications, as their reputation makes them a common choice. If you want the best bang for your bang, look no further than the industry-standard AKG K240s. A far cry from the K240s, at least in terms of cost, the 701s are premium, “reference class” studio headphones. AKG has taken advantage of “flat-wire” coil technology to reproduce frequency and transient response extremely accurately. Like the DT 990s, these headphones provide tremendous stereo imaging, though their price point puts them in a different class entirely. It’s important to remember that cost doesn’t have to mean everything when it comes to finding the right headphones. Generally speaking, users should purchase what sounds most accurate to their ears, whether that’s the 500-dollar 701s or the sub-$100 K240s. Essentially an open-back 1540, the 1840s are a premium headphones. Shure explains that they’re best suited for mastering or critical listening, reproducing frequencies from 10 Hz to 35 kHz, though they’re endorsed by the audiophile community as well. By no means inexpensive, if quality is what you’re after, the Shure 1840s are tough to beat. I almost didn’t think it was possible to list anything less expensive than the AKG K240s. However, the Samson SR850 studio headphones are the most affordable, quality open-back cans mentioned here at just $50. They’re generally well received by the pro audio and audiophile worlds as being one of the best bangs for your buck. At just $50, you almost can’t afford not to give them a shot, right?